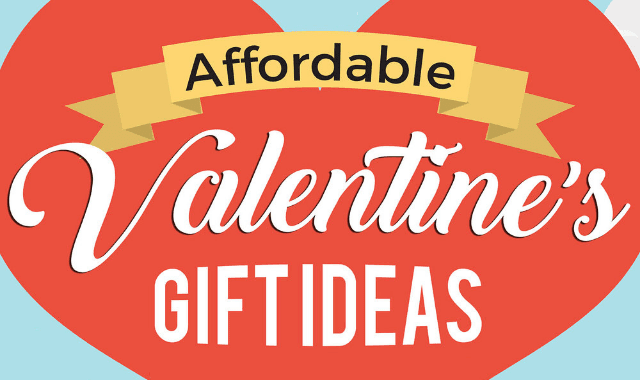 35 Affordable Valentine’s Gift Ideas For Your Loved Ones #Infographic ~ Visualistan '+g+"
Find the perfect valentine’s gift for your loved one. For Him 1. Swiss Knife: An essential that brings out the ‘MacGyver’ in every man. Make him smile without spending a lot by choosing a non-Swiss brand. 2. A good set of Socks: Nothing like a good pair of comfy socks for the man who often have lots of errands to run. Find good socks that match his style and pamper the feet at the same time. For Her 1. Cosmetic Case: Even though you can’t get her a cosmetic product, at least you can give her a nice case to hold them. 2. Cool Shades: Remember that summer is just around the corner so it’s the perfect time to give her a cool pair of shades. 3. At-home Spa Essentials: Girls love being pampered and an at-home spa would just be perfect to include in her beauty routine.